Glass artist Ola Höglund is well known for his use of bold colour combinations. The Incalmo technique demands Ola working on two bubbles of glass at the same time – one for the body and one for the neck. At a particular time, when the bubbles have been worked to the desired size, the two bubbles are joined while still hot. Once cooled in the annealing kiln, you can feel where the bubbles were joined together. Tiny air bubbles may be trapped – frozen forever in the glass. 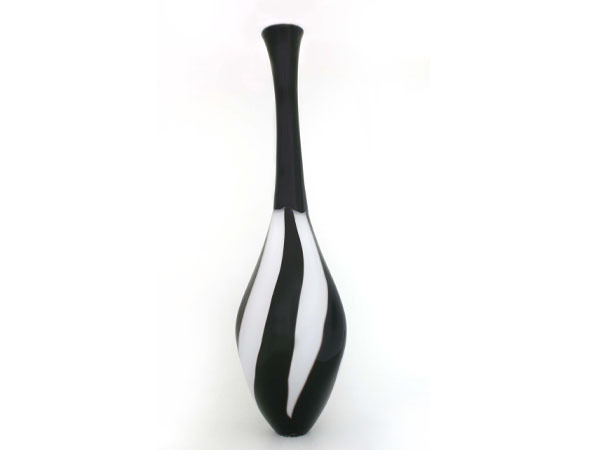 Each piece is unique in its final form and finish; therefore, no two vases will ever be duplicated. This is what gives our glass its individual personality and is the essence and beauty of Höglund Art Glass.